WE DEVELOP SOFTWARE APPLICATIONS TO GROW YOUR BUSINESS. WE COMBINE KNOWLEDGE & EXPERIENCE TO PROVIDE HIGH QUALITY PRODUCTS. WE DELIVER SOFTWARE PRODUCTS WORLDWIDE TO CUSTOMERS FROM STARTUPS AND SMES TO LARGE ENTERPRISES. ENTERPRISE SOFTWARE DEVELOPMENT. SOFTWARE AS A SERVICE. WORLDWIDE DELIVERY. Greensoft team of experts provides the services of technology consulting and users’ needs analyses, business software development and implementation, Quality Assurance (QA), maintenance and training. In the segment of IT solutions for agriculture sector, on turn-key basis we provide services of implementation of complete solutions for managing the agriculture production processes and all types of lands. Greensoft has developed software solutions specialized in managing agriculture production processes and all types of lands, based on GIS technology. 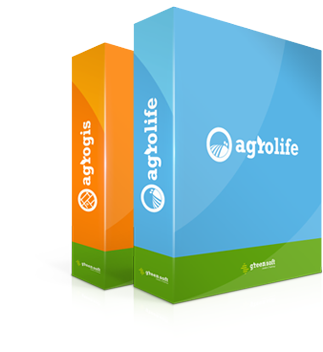 These are software package “AgroLIFE” registered with the Serbian Patent Institute (The Republic of Serbia Intellectual Property Office). The solutions have been developed in order to provide agronomists and household owners with efficient planning, organizing and managing agriculture production processes, at the same time increasing their yields, total revenues and reducing operating costs and expenses. When developing copyright software applications, Greensoft uses reliable strategic platforms, combining proven and innovative technology elements. Our business philosophy is to position ourselves with users’ as long-term technology partner with the quality of our products. That is why we develop software application with rich features of which follow in details the business processes of each individual user in order to boost productivity, reducing operating expenses at the same time. We have had a good idea and have been guided by the fact that no adequate business software can be found in the global market which could provide agriculture sector with appropriate management of complex production processing aiming at increase in yields, revenues and reduction of total operating costs and expenses. That is why we have established Greensoft company in January 2012 and started to bring the idea into reality. We have developed Agrolife software solution specialized for agro sector, based on GIS technology.